Are you new to Japan and trying to settle into your new share house or apartment? Or have you been living in Japan for years and still haven’t cracked the code of Kanji? You’re in luck because we have made a Share House Cheat Sheet Series for your electronic appliances so go ahead and finally give Google Translate a rest! Tulip Real Estate is a female-run share house company located in Tokyo that aims to support women who want to enjoy the city life, maintain their careers, or start up their own business ventures all while saving up their finances. When living in a share house, not only can you practice your language skills and meet new people, but you can also save a ton of yen by not having to buy your own home appliances. Tulip Real Estate share houses provide furnished living rooms, kitchens, dish ware, cookware, utensils, and electronic appliances. Being able to use all of these appliances freely at your fingertips is amazing, but if you can’t read the language, be prepared to run into some issues. Luckily we have got your back, enjoy these cheat sheets and let’s memorize them once and for all! Air conditioner/Heater remote controller translation from kanji so you can finally know right away not to turn on the heater on a sweltering summer day in Japan. Next up is our kanji cheat sheet for the washing machine and drying machine. Say goodbye to the days of pressing that one, standard button for all types of clothing or accidentally pressing the wrong button with no return. Wash your delicates with the love and care that they deserve! Most Japanese kitchens do not have a large, industrial oven like many households might have in the west. Instead, 2-in-1 microwave ovens are quite standard in order to save space. Another common appliance in most homes in Japan are IH stoves opposed to the gas stove. Take note that some power buttons require you to hold for about 2 seconds! The most-loved toilet around the world, Japanese electronic bidet toilets. These bidets can be found not only in homes but are pretty common in many establishments all around Japan. There are also two flush settings you may find on the handle with 小 (small) and 大 (large) in order to save water. Eco-friendly and luxurious! Who knew that there were so many ways to cook rice! 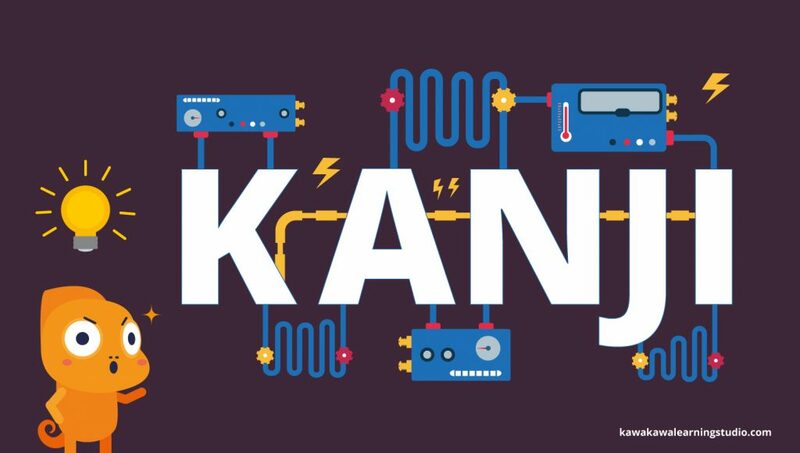 Check out the rice cooker kanji guide so you can cook rice properly, it is after all a staple in every Japanese meal. There you have it, hopefully you are one step closer on your journey to mastering kanji! You may remember our lovely resident Sahar from her interview. At that time, she touched on the problems facing Muslim women living in Japan when finding accomodation. We invited her to give us the full story in a guest blog! She has blogged in Arabic to share her experience and advice with other Arabic speakers who may have similar trouble. انا اسمي سحر فتاة قادمة من تونس ، أعمل مهندسة باليابان. أول مرة جئت فيها إلى اليابان سنة 2015 وذلك للقيام بتربص يتعلق بختم الدراسة الجامعية. لم أكن أعرف شيئا عن هذا البلد العظيم ولأني أنحدر من بلد صغير يقع لشمال افريقيا فإن كل ما رأيته كان جديدا بالنسبة إلي وغريبا في نفس الوقت إذ أني لأول مرة في حياتي أزور آسيا وخاصة هذا البلد المتقدم. وقد قامت الشركة التي احتضنتني للقيام بالتربص لديها بكراء غرفة لي بمبنى مختلط (إناث وذكور) لعدم معرفتهم بثقافتنا وتربيتنا وعاداتنا وتقاليدنا فكانت صدمة بالنسبة لي كيف لي أن أعيش في دار مختلطة مع أناس لا أعرفهم ولم أرهم في حياتي قط. وقد كانت تجربة مخيفة خاصة من ناحية النظافة لذلك بدأت أبحث عن منزل آخر . وأخيرا التجأت إلى google وwebsite « tokyoshared house » أين وجدت ضالتي . « tulip »هي دار مخصصة للبنات فقط سعدت كثيرا عند رؤيتها وبما أنني مسلمة أحسست بارتياح للعيش فيها بأمان سواء من ناحية النظافة أو من ناحية عدم الاختلاط. وسارعت بمكالمة القائمين عليها الذين أجابوني في الحين ورحبّوا بي بكل تلقائية وها أنا قد انتقلت للعيش في تلك الدار والحمد لله. وكما تعرفون فالبنات يتميّزن عن الذكور بالشعور بالمسؤولية والنظافة والاحترام والسلوك الطيب ومنذ أن انتقلت لم أتعرض إلى أي مشاكل . حقا لم أتخيّل يوما أني سأفوز بدار مخصصة للبنات فقط في بلاد كاليابان حيث يطيب العيش فيها فكل شيء متوفر وسهل الحصول عليه بدون مشاكل أو تعقيدات. وفي الختام ، أنصح كل فتاة مسلمة اللجوء إلى هذه الدار للسكن فيها متمتعة براحة البال والسكينة والنظافة إلى جانب موقعها الممتاز والاستراتيجي الذي يساعدها في تنقلاتها. Located only a 10 minute walk from Roppongi station, but nestled in the leafy suburbs you won’t even realise that you’re just a stone’s throw from one of Tokyo’s party capitals. Roppongi is also known for its high-end shopping malls with beautiful surrounding areas, such as Roppongi Hills and Tokyo Midtown. Tokyo Midtown especially runs many free events such as illuminations and park yoga, it’s impossible to be bored in this exciting part of town. The house’s location is incredibly convenient; only 5 minutes from Roppongi Itchome station serviced by the Namboku line and 10 minutes from Roppongi station for the Oedo and Hibiya lines. A 24 hour convenience store is less than a minute away, just around the corner. Newly renovated, the house’s furnishings are all brand new. The kitchen has patio doors leading out to the balcony giving the room heaps of sunlight. The palette has been kept neutral giving a fresh feeling to this shared living space. There is free wifi in all areas. The deposit for any room in the house is 30,000 yen. No hidden fees at all! All private rooms come with a TV socket and are decorated individually. These dormitories are actually semi-private rooms with curtains instead of doors. In the house’s peaceful atmosphere you shouldn’t be disturbed by your neighbour at all and the curtain provides complete privacy. There is an indoor drying room just for use by dormitory residents so you can hang up your washing rain or shine. Only the entrance is curtained making the space very private. Now open for viewings so make an inquiry now! Moving in will be possible later this month! We spoke with Ms. K, a resident at our Cozy Village Jasmine share house located in Shinjuku’s Nishi-Ochiai. The area very relaxed and peaceful but also conveniently close Nakano! Before living in a share house, I actually lived in a shared space with three friends! One of them moved and it was difficult to find a new person so I decided to move to a share house. Everyone in this share house is pretty busy with work, but when we all come home and hear, “Tadaima!” I feel at ease. How do you like the area around the share house? There is a large park in the nearby residential area and it is very peaceful. The house itself is located in the Shinjuku ward, but very close to Nakano so it is very relaxed. Close to the house is a small co-op near the station, a nice gym, pool, and large shopping center. So I have fun shopping and exercising a lot! There is also an osteopathic clinic near here, my coworkers told me about this kind of clinic and it’s helped me a lot. What do you enjoy doing in Tokyo? I enjoying wandering around and going shopping in Tokyo! There are so many good options when it comes to finding things to do here. I think it’s easy to meet a lot of interesting people in Tokyo. In my hometown, Ustunomiya, there are mostly just locals. But here you can meet many different people, international people, etc. and that is really exciting for me. I love playing futsal (a form of soccer on a hard court) and jogging on my days off. I also like to take walks at the park and seeing the people around me enjoying themselves. Are there any good points you’d like to share about living in a shared house? As I’ve mentioned before, it’s so nice to say and hear “I’m home!” I feel at ease to know that I live with others. It is also very fun to talk with the people at the house and having no worries at home! I think that if I lived alone, it would feel kind of lonely coming home, but I don’t have this feeling at all here. Since I started living here, there has been an earthquake, a power outage, heavy rain, and various situations and it is nice to be together with people during these times. Also, I have become friends with the nice woman who runs the bath house nearby! What is different from living alone and living in a shared house? The current residents all come home at different times and it’s is nice to come home and see someone relaxing in the living room and saying “Otsukaresama desu.” If we like the same tv show, we relax in the living room and watch it together! It’s really a chill atmosphere. To live in such a nice space alone feels a bit of a waste, so I’m glad to share with others. I think that when you live alone, there is a lot of necessary spending that just goes to waste! In a shared house, the common expense is fixed every month and it is very good for saving. When living with people, there really is a sense of security. I definitely recommend it! We were lucky enough to chat with Ms. R at Happy House Stella and to our surprise…she is a singer! What interested you to live in in a shared house? The complications with the initial cost at most places is what drew me to a shared house. Before I came to Tokyo, I studied music in America and lived in a shared space so I didn’t have any resistance to live with others here. To live alone, you must have your own furnishings such as a refrigerator, etc. If you do not have that much money, it is difficult to buy many good furnishings, so I wanted to live in the shared house because all of that is already provided. What drew you to Happy House Stella? I checked out other shared houses but when I visited Happy House Stella, the kitchen was very spacious, there is a bathtub, and my room had a refrigerator so that was a great point! I also love the large shoe rack and a substantial space to have food and meals. Do you have any recommendations about this area? Once every month, there is a great flea market held at the nearby shrine with handmade goods that I really look forward to. (Booths of assorted goods, food, and drinks are sorted in a row onsite. Every 3rd Sunday of the month, you can see the especially popular booths with a very long line!) Ikebukuro being walking distance is very valuable for me. Because I can easily go to Mejiro, Takadanobaba, and Gokokuji station too, it is so convenient. Hmm….I usually just chill and relax. I’ll spend time with friends and sometimes go to art museums or do a museum tour. I always suggest checking out everything and trying the “all around” path. Do you have any favorite places in Tokyo? Well there are many places to commute by train, so I guess like to mostly head to the train and not worry about time. There are so many people in Tokyo so it is common for places to be crowded or goods to be sold out! I find that if there is a shop or items I really like, I always try to get them quickly. Do you feel that living in a shared house has changed you in any way? I can’t think of anything particular that comes to mind. I appreciate that each person in the house feels a mutual peace and good feeling living all together. Something I have noticed is how I keep things cleaner now! I live among people who love a clean space in this shared house and have noticed that I am more aware of many different things and places. I would really like to teach classical singing but if I will do that in Tokyo specifically is something I am not sure about yet. I like living in the shared house to save money for something I can gradually accomplish for my career in the future. Because I would like to continue my passion as a singer, I`d like to get some recording equipment and maybe have my own facility. Any other thoughts for our readers? I believe that to have the chance to live in such a convenient area, it is a great foundation to arrange and make a great life for yourself. When you think of dormitories what do you imagine? Metal frame bunkbeds in a questionable, overcrowded hostel? Loud travellers coming back at all hours? No privacy? No storage space? Unsafe? Tulip Real Estate provides dormitories that ensure privacy, your own storage space, safety and cleanliness. Rather than a traditional dormitory, they are like your own compact room. Some even contain your own fridge and air conditioner. They are usually separated from the common area with a blackout curtain, but some actually have a normal door that you can lock. You can retain the sense of community associated with living in a dormitory and make friends easily, without having to lose any privacy. It is perfectly possible to live comfortably in them for months or even years as many of our residents are currently doing! How much would you pay to live a 5 minute walk from the famous Yoyogi Park? Believe it or not, you can live in this upmarket area for under 50,000 yen per month including all bills. Witt-style Jingu’s dormitories are like your own compact room. Shinjuku, Shibuya and Harajuku are all accessible by walking or cycling and the house has free bicycle parking! Live in beautiful, traditional Asakusa for as little as 43,000 yen per month. The house is perfectly located, far away enough from the tourists to be peaceful but still only a stone’s throw away from the bustling Senso-ji temple. Ueno is just a 20 minute walk away! These are the biggest dormitories of any of our houses and are stylishly decorated. 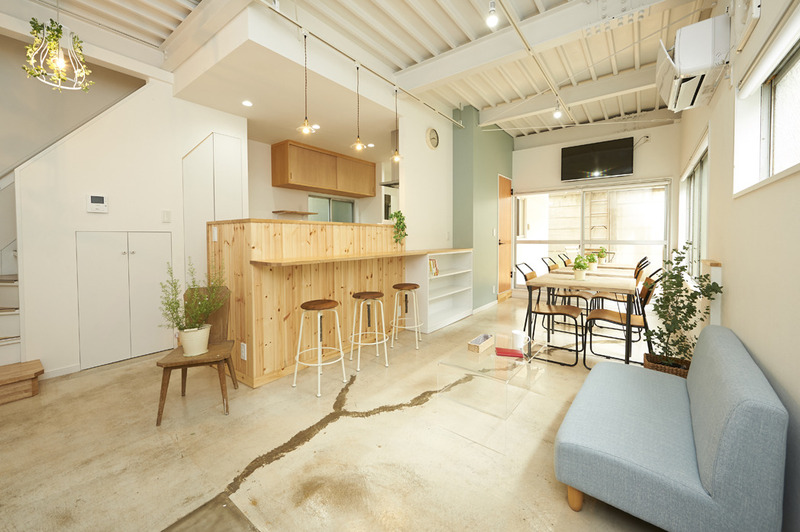 This super affordable house is located just a 15 minute walk away from the Japanese pop culture haven, Nakano Broadway. A direct train from the nearest station gets you to Shinjuku in 15 minutes, meaning great access for women who work or study in that area. The dormitories in this house are inspired by Japanese capsule hotels; private sleeping spaces are in a row with one on top of the other. Although the space is small, it still comes with a table and some bedside storage. But don’t worry, there is extra storage designated for tenants outside of the sleeping space as well! A great, cheaper alternative to hostels, these dormitories can even be booked through our Airbnb page for 2 week stays and above! If you are interested in any of these houses an inquiry can be sent straight from our website! You can also browse for more options, including private rooms. This is Bozhana, a resident in our Happy House Orange sharehouse. She is currently a student aiming to get her Ph.D. and is very knowledgeable about Japanese culture and history. We explored the neighborhood and Nakano Broadway! Bozhana, what interested you to live in a shared house? Well, originally I tried to look for my own place but it was very expensive! A friend of mine who used to live in Japan advised me to check out sharehouses because she had a lot of fun in her sharehouse and made many good friendships. She told me that when you live alone in Japan, at some point you could become very lonely, so it’s great to have people around you. I started to look for some sharehouses and Tulip Real Estate came up in some recommended threads online. What is your favorite thing about living in Happy House Orange? I love the location of the house! I also like the fact that I could share a space with others but have my own privacy as well. My favorite part of the house is of course the big kitchen, so I can cook. I like to try making Japanese food, fusion, Italian, and using whatever products I have at the moment. In Nakano, you can find many products and different shops so I am very happy with my current situation. Actually, my first impression of Nakano around the station is that it is a very noisy place. I was wondering at first if Nakano was a good idea, but when we reached the house for a room viewing, it was on a very quiet street and I immediately fell in love. The location is perfect for me; it’s very close to Shinjuku, my university, and a great starting point for all kinds of trips. What I like about the area is that there are lots of shops, supermarkets, places to eat, drink, and have fun. Whichever direction I go, I find something interesting around here. It is very good for young people, I think. I like to travel a lot. Basically, I like to travel out of Tokyo if I can afford it, haha! When I can’t though, Tokyo offers a lot of things to do. You can make one-day trips out of Tokyo for almost no money. It depends on what your interests are but I just like to explore the city and get lost a little bit. What do you like about Japanese culture? I like TV dramas, that’s how my interest in Japanese started! I also very much like literature because that is what I am researching, the book market in Japan. I like of course Haruki Murakami because we all start with him. I also like Yoko Ogawa, she is one of my favorites. I like to find new authors because they may be famous in Japan but are still yet to be discovered in my country. I’d like to find an author that I can translate into Bulgarian and present it to our public. I have only been here for a month so there is no big difference that I notice, but it has changed my daily routine a bit. I’ve become more conscious of others since I live with other people. It is different than living with your family so it’s important to take care of the shared area. I have learned about how to deal with separating garbage! In general, so far, so good. In Japan, things are a little bit different than at home but I am getting used to this type of living. A challenge is maybe sometimes someone leaves something out, but it’ll be cleaned up in no time. My goal is really to do my research and finish my education here. It will be really challenging so I have a lot of work ahead of me. I also really like to travel so I hope I have some more opportunity to do so. I want to go to Okinawa next year, Hokkaido, and some other islands such as Shikoku. I haven’t been to the west part of Japan, so I have lots of places I would like to visit actually! Lots of young people come to experience life in Japan and I would just advise them to try a shared house, really. It’s a good experience; you can become independent but still have enough support. It’s a great way to start living in Japan so I recommend it!